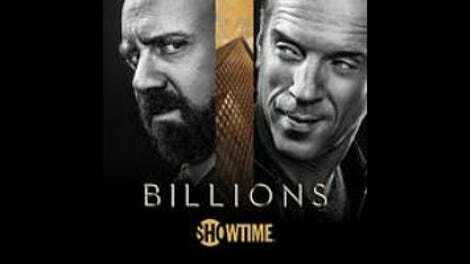 It’s not out of the ordinary for Showtime to hold back screeners of its season finales, but when word came down this week that the penultimate episode of Billions would not be released to critics before airtime, it was a pretty safe bet that we were in store for some sort of shocking event. This isn’t The Sopranos or Breaking Bad, so nobody gets whacked in “Golden Frog Time,” but this hour still delivers the kind of nerve-wracking suspense and sudden reversals of fate that those shows specialized in serving up toward the end of every season. 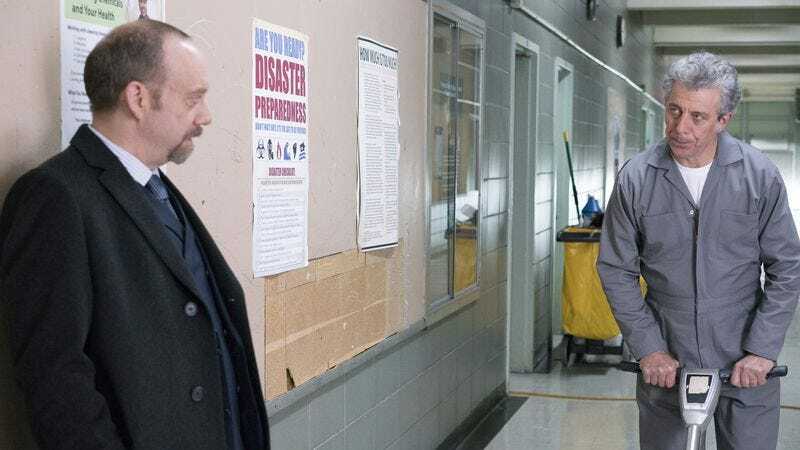 Billions isn’t quite in the same class as its predecessors, and “Golden Frog Time” is ultimately too contrived and cartoonish to justify comparison with the best those series had to offer, but on its own terms, it’s a hell of a lot of fun. Structured like a mini-Scorsese movie, the episode tracks the Ice Juice IPO and the effect its ups and downs have on the major players, scrolling back and forth in time to show us exactly how it all unfolds. For most of the hour, it appears that the tables have finally turned: Everything is going Axe’s way, while Chuck is the unwitting victim of his plot to destroy Ice Juice’s prospects before it even gets off the ground. And yet, it all looks too easy from Axe’s perspective. A seed was planted a couple of weeks ago, a small hint indicating that this was a setup on Chuck’s part all along. Admittedly, for most of tonight’s episode, I questioned whether I had misread that when it happened, but the final montage makes it all plain: Chuck is still on a roll, and Axe is merely enjoying a momentary respite before it all comes crashing down. It’s not until the final five minutes or so, after the stock has tanked and all seems lost, that the clock rewinds again and we find out exactly what Chuck has been up to. He’s cut a deal with Boyd to spring him from his sentence in exchange for passing on the information about Senior’s involvement in Ice Juice to Axe. Pushing the limits of plausibility, albeit in entertaining fashion, he arranges for Dake to get promoted to U.S. attorney on the Eastern District on the condition that he put manpower on every Ice Juice location as well as all of Axe’s known associates in order to gather the evidence necessary to prove Axe sabotaged the IPO. Yes, this is all ridiculous, but in Billions terms, it’s satisfying nonetheless. The Ice Juice storyline playing out at the same time Juicero is in the news is a fortuitous piece of timing. Axe and Lara appear to have patched things up… but only to a point. Dollar Bill gives Taylor $25,000 in cash for their help on the Klaxon play. Subtle guy. Same deal next Sunday: no advance screener, so the review will post later than usual.